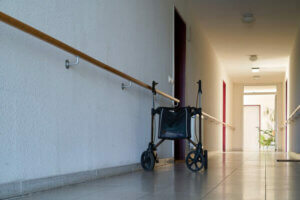 Millions of elderly people in the U.S. are currently living in nursing homes. Most of them don’t have a lot of money and they can’t afford to live anywhere else and receive the care that they need due to chronic illnesses such as stroke, dementia and Parkinson’s disease. Fortunately, most of those costs are paid by the government through the Medi-Cal program in California or Medicaid a it is referred to in other states. But what happens when an individual ends up in a nursing home because they need the level of skilled nursing care that can only be provided in such a facility but have assets to pay for that care? At first glance this does not seem to be a problem. However, if there is a well spouse at home, he or she will pay between $8000.00-$12,000 a month potentially bankrupting him/her and leaving that well spouse with little or no money to care for themselves. It is precisely because of this situation that many Californians turn to Elder Law Attorneys to make sure that they qualify for Medi-Cal in advance so that should the need for Medi-Cal arise they will be prepared. Attempting to spend assets down to an acceptable amount for eligibility ($2000 in non exempt assets for a single applicant and $124,429 in on exempt assets for a couple) at the last minute can be expensive and decrease the chances that the application will be accepted.